This is a natural green Garnet also called Tsavorite, loose gemstone for sale on our online gems store, directly from our collection, this gemstone is completely untreated and genuine earth mined in Tanzania, Africa. 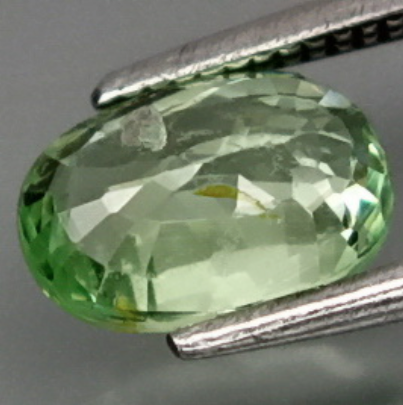 This tsavorite was faceted into an oval cut with god size and proportions. 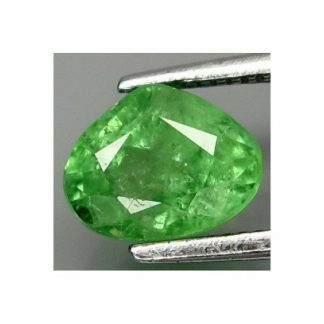 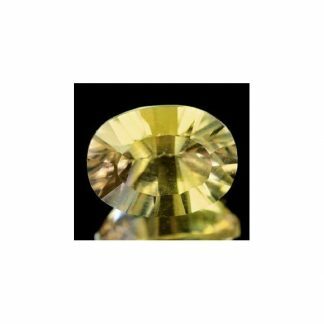 This green gemstone weight almost one carat, has nice clarity with some minor tiny inclusions almost invisible to naked eye, present an attractive green color hue with light tone and medium saturation. 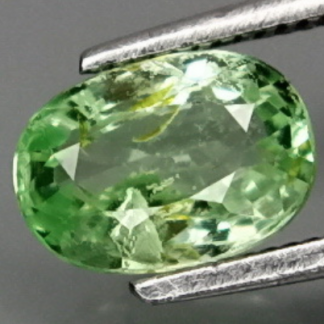 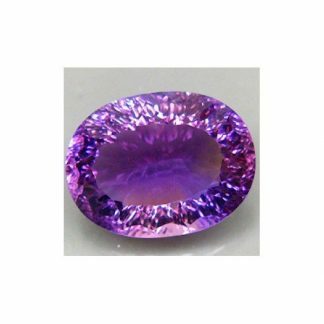 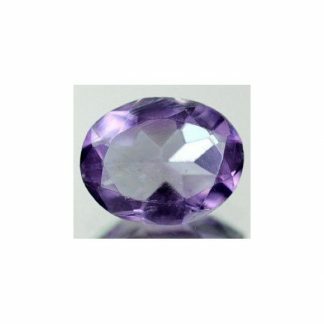 It is a good colored gemstone choice for an elegant jewel with affordable price. 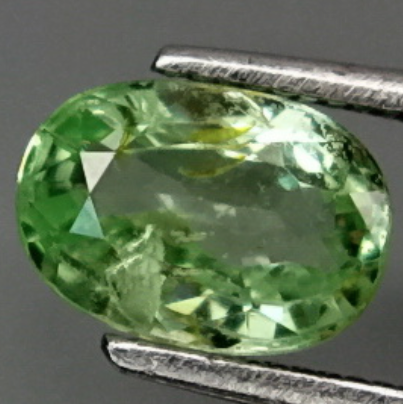 This green garnet tsavorite gemstone has clarity with transparency and only minor inclusions into the crystal, completely untreated and natural this green gemstone is perfect for your gems collection or to set into jewelry duo to its hardness of 7 on the Mohs hardness mineral scale. 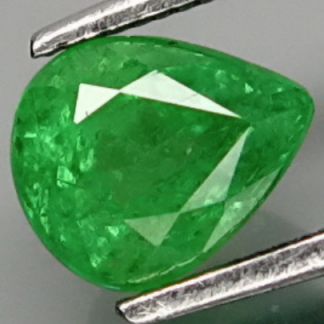 Dimensions: 6.7 x 4.7 x 3.3 mm.